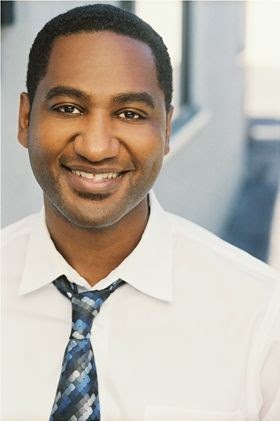 Dwayne Colbert is an improviser, writer and all around good guy. Having been a writer for Nickelodeon and on the production staff of several animated TV shows and movies, Dwayne has risen out of that hellish world to the promised land of improvisation and sketch comedy. He is a graduate of The SecondCity's Improvisation Conservatory in Los Angeles, and has also studied with The Groundlings. He has toured with The Second City on Norwegian Cruise Lines, performing improvisation and sketch comedy throughout several countries, as well as locally at The Second City Studio Theater, iO West, Fanatic Salon and Bang Theater in the greater Los Angeles area. Dwayne can be seen performing improv with the groups, Just Wax It and DWAYNE!!! Dwayne narrated the audiobook for my novella, All Right Now:A Short Zombie Story. Question Six: What was the path that led you to become an audiobook narrator? I guess my path began when listening to podcasts. I felt like listening to subjects that already interested me became that much more interesting when I enjoyed the voices of the podcasters. This led me to start listening to audiobooks based less and less on the reviews of the books, and more and more on the narrator reading them, and I thought to myself one day, "Hey, I'm a working actor and my friends always tell me I have a great voice. I bet I could do audiobooks and maybe one day someone will choose a book based on the fact that I'm narrating it." I'm still waiting on that day to come. Question Five: What are the qualities you look for in the projects you choose? The material is everything. The book has to be something that I feel compelled to narrate, whether I'm familiar with the subject matter or not. I also take into account how passionate the author feels about their material and the vision they may have for the read as well. Question Four: What sort of book would you most like to narrate next? I'd love to narrate a crime drama. Those type of stories can be so compelling. In narrating All Right Now: A Short Zombie Story I really enjoyed the pacing, which I feel was very similar to a crime drama. Plus I love who-done-its. Question Three: What is your favorite thing about narrating audiobooks? What is your least favorite thing? I would have to say my favorite thing about narrating audiobooks is someone sharing their enjoyment of a turn of phrase that I might have used that they felt was an unexpected way of speaking that phrase. Often times there are several ways that the same phrase can be spoken, but what makes you you is how you choose to speak that phrase, in character, in the setting that the character finds themselves in. Awesome. My least favorite thing would have to be producing the work after the narration is recorded. It can be tedious work, and I've even fallen asleep in the middle of choosing which take to use for a narration. Yikes! Question Two: What one bit of wisdom would you impart to writers looking to work with an audiobook narrator? That's a tough one. I guess I would say, how a potential narrator feels about an author's material should definitely be taken into account. A passionate narrator will bring that passion to the read. And another thing I feel strongly about is that it's all about the voice. Just like you don't want to judge a book by it's cover, you should only judge a narrator by the voice that they've showed they can bring to the material. Anything else should be left out of the decision. Voice is king. Mark Twain. Hands down. He remains the quintessential comedic and socially conscious author of our time. Great interview! I've always wondered about the audiobook narrator! Thanks for the peek inside the recording studio!